It was also the first time Baby V attempted to help mummy bake - she wants to do whatever her worshipped cousin does - and she followed really well in her mummys footsteps, by attempting to eat all the Oreos too! Add flour, cocoa powder, sugar, baking powder and butter to food mixer and combine on slow speed. Meanwhile prepare the frosting. Combine the butter and icing sugar on a slow speed. Gradually add the milk and vanilla extract. Once all incorporated mix on a high speed for at least 5 minutes until the frosting is light and fluffy. 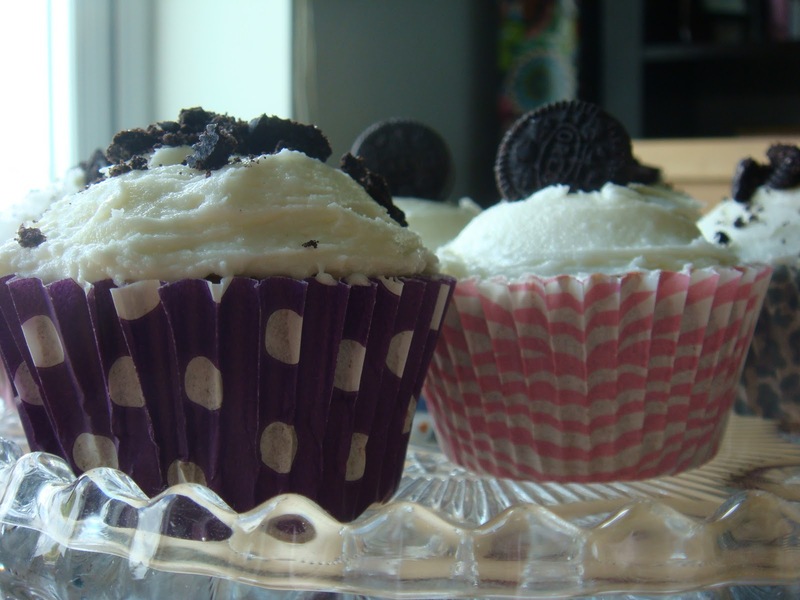 Once cooled, use a knife to shape the frosting onto the cupcakes and decorate with mini Oreos. Sponge and frosting recipe taken from The Hummingbird Bakery Cookbook and adapted by me. Oreo's are the only biscuits my son will eat so I will have to make him some of these. Lovely photo's, sure that's all that is left of the cakes :-)! 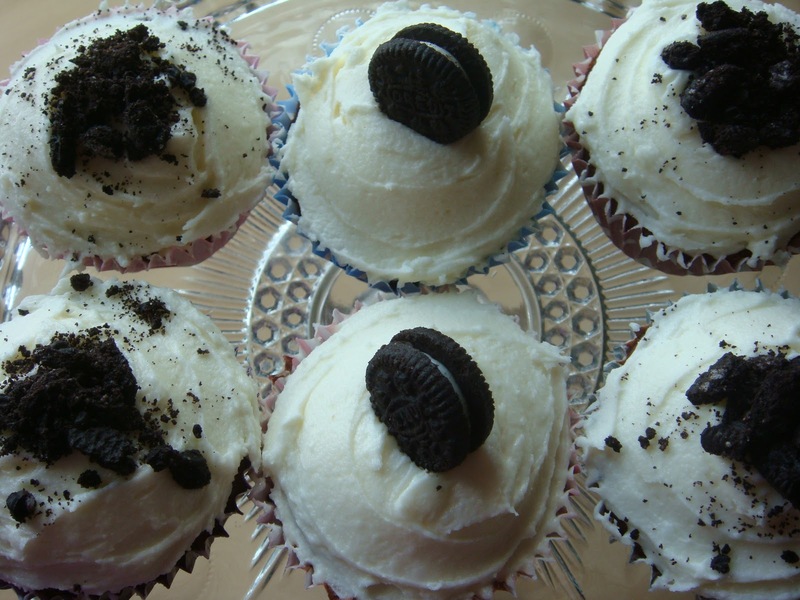 *sigh* cookies and cream cupcakes!! I am going to try to make some of my own invention cupcakes hopefully today (but prob tomorrow morning)!! Oooh now they look utterly delicious! Mmmm please pass me one NOW! !